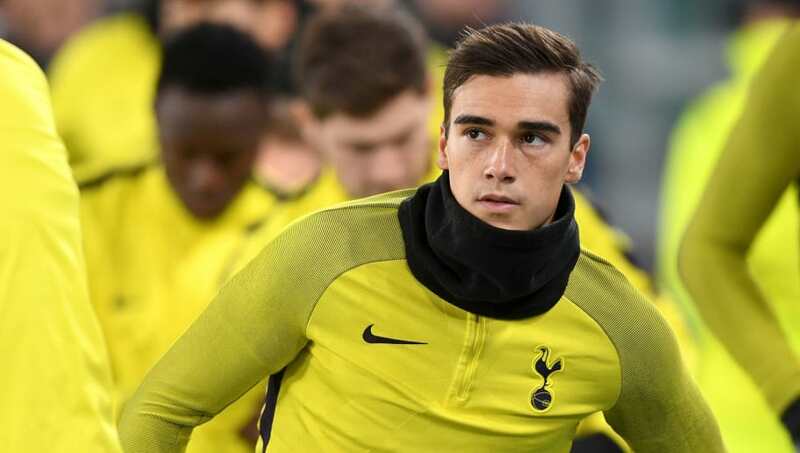 Mauricio Pochettino has claimed that Harry Winks is 'so close' to being ready to start games again for Tottenham, but warned that the midfielder will have to manage his 'chronic' ankle problem. Despite breaking into the first team and earning a senior England cap in 2017, the 22-year-old midfielder has suffered from a series of ankle injuries in recent seasons, which have interrupted his progress. He underwent surgery in the summer and missed ​Spurs pre-season tour, but has returned to make fleeting cameos in three Premier League games this season - totalling six minutes. Manager Pochettino has now revealed that Winks is almost ready for more first team action, but the nature of his injury means he will have to be careful in managing it. "He is close because I am happy with him. The last two weeks was fantastic for him, he was training so hard and I am so happy with his evolution. He is so close," Pochettino told ​football.london. "It is a chronic injury. He needs to adapt and understand and accept that he needs to play with this little bit of pain. For a young player it is difficult to accept that because you want to feel 100 per cent and not feel anything in your body and feel free," explained the Spurs boss. "He has discovered a different feeling and he has to accept that problem can affect you but not affect you in your mind. You need to live with this small thing. "From the beginning it is difficult to accept but now he has accepted and is so close to give his best. He has to keep going in the same way, we are so happy with his evolution, it will be a massive impact for us for the future and we are so happy that he is so close to being at his best." The nature of Winks' ankle injury may bring up bad memories for Spurs fans regarding club legend Ledley King, who was forced to manage chronic knee injuries for much of his career before retirement in 2012. Pochettino also recalled similar fitness problems he encountered during his own playing days. He added: "When I was a player, when it happened for the first time you say you need to feel perfect and if not you don't want to play because it creates a problem in your mind. "In this situation he has spent a period of time fighting with this and accepting this and moving on he is going to play his best of course." While Winks could play some part in Tottenham's blockbuster clash with Liverpool this Saturday, both ​Dele Alli and Hugo Lloris have been ruled out with injuries of their own.